06042011_katie&briansweddingphotos_KR_0010, a photo by Villa de Amore on Flickr. I bet you could do this yourself if you wanted. And better, it looks as if they got a little tired at the end. 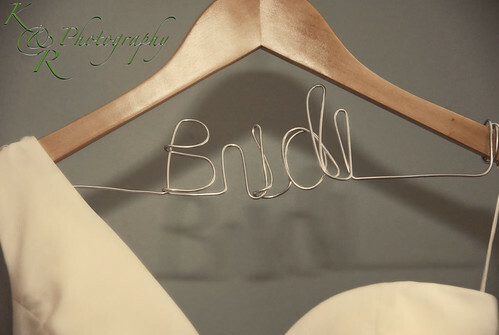 Order custom hangers like this "Bride" hanger to add a unique flair to wedding dress photos!